This "How to" guide will show you how to replace a engine thermostat on a VW Passat 3B Model. Click the link if you are unsure which model of Passat you have. Watch our "How to" change your VW Passat thermostat video or scroll down for the static step by step guide. We can supply all genuine thermostats for your Volkswagen. Due to the number of temperature opening variances please Contact Us with your Chassis Number and Engine Code. Remove the engine under tray. 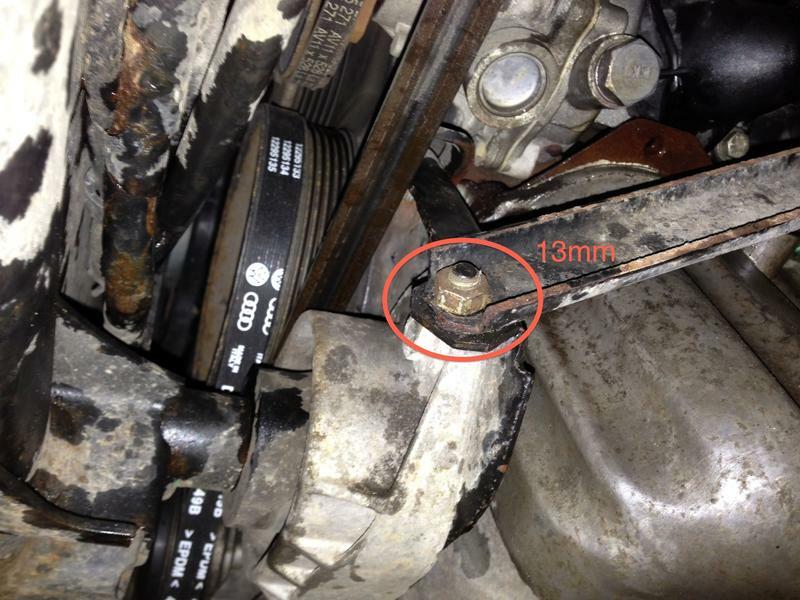 Remove the support bracket from the front engine mount held by a 13mm and a 6mm allen key. Release the bottom coolant hose to the thermostat housing. Drain the antifreeze into a suitable container and please dispose of it in a environmental friendly way. You may get an antifreeze shower at this point! Remove 2 x 5mm allen key bolts holding the thermostat housing. Remove the thermostat and replace. 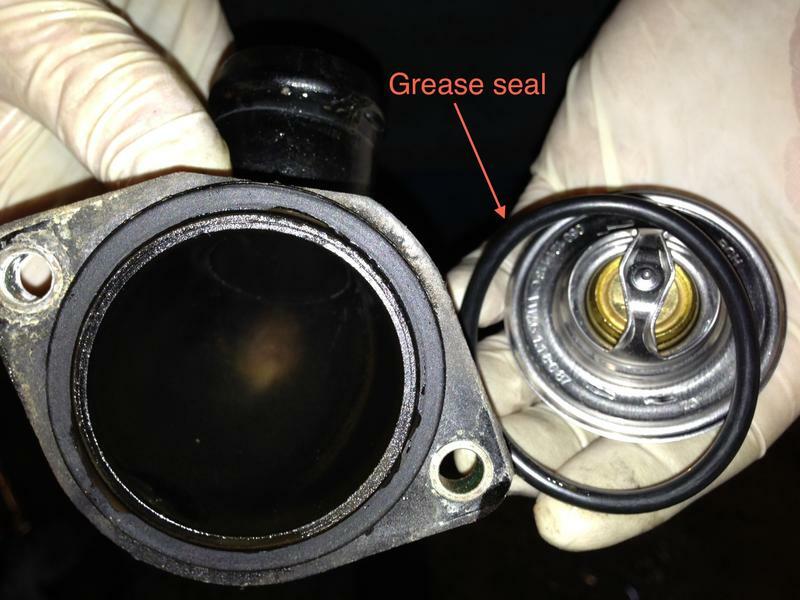 Grease the seal before refitting. Replenish the coolant to the correct strength as shown on the instructions on the product. G12 antifreeze has been replaced by G13. 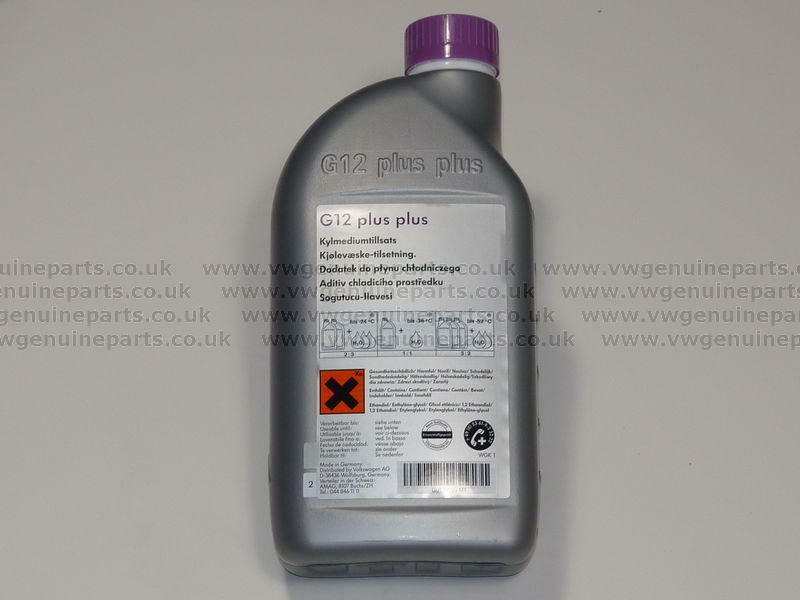 Buy Genuine VW G13 Coolant. Check the level for several days and top up as required. Warning! Never open the expansion bottle when hot.